Following the lead of the Archdiocese of New Orleans, the Diocese of Lafayette is currently preparing is preparing a list of clergy who have been accused of “the abuse of a minor or vulnerable adult,” but the Diocese’s statement says it may be a while before that list is ready. According to a spokesman, Archdiocese of New Orleans Archbishop Gregory Aymond released a statement Friday saying that he intended to publish the names of the accused priests in its region. Diocese of Lafayette Bishop Douglas Deshotel said in May, after Father Michael Guidry surrendered to authorities in St. Landry Parish and was charged with molestation of a juvenile or a person with a physical or mental disability and contributing to the delinquency of a juvenile, that he would “consider” releasing the names of priests the church had paid settlements for to cover up sexual abuse allegations. In September, Msgr. Robie Robichaux, the judicial vicar for the Lafayette diocese, was placed on leave after a woman claimed she suffered sexual abuse in 1994. After that incident, Deshotel that the Diocese was considering releasing the names of priests within the Lafayette Diocese who had been accused of sexual abuse of minors. Earlier this month, Deshotel released a statement saying that no non-Diocesean group would force the release of the names after members of an anonymous group called the “Society of St. Peter Damian” threatened to release information on corruption in the Diocese if Deshotel did not release information on legal settlements within the Diocese by Oct. 2. This week, it was learned a second woman has come forward with claims of sexual abuse against Robichaux dating back to the late 1970s and early 1980s. 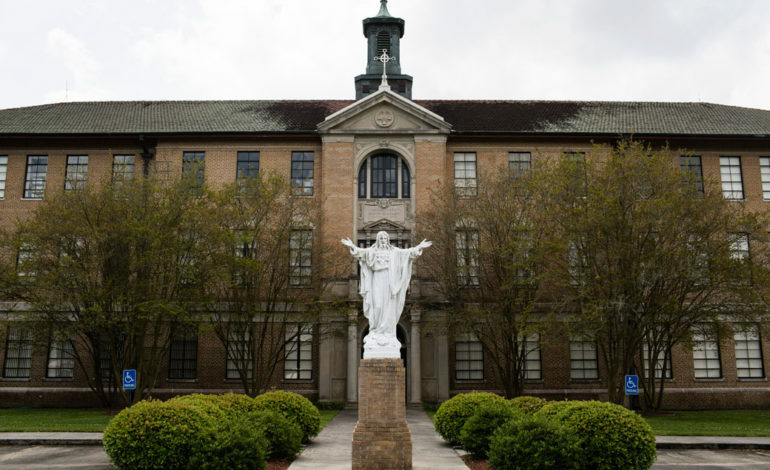 The dioceses of Shreveport and Alexandria have said they will also release the names of accused priests in their regions.